Well… well… well… see what I have brought here for you to cook… a main course recipe that requires literally mere 5 minute to assemble and another 20 to cook. In fact, it practically involves no cooking skill and you just have to pile up the ingredients, season and pop the dish in to the hot… hot oven. Do I hear some wows and aahs…?? 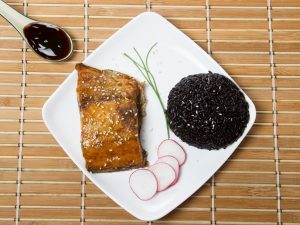 Not only for the taste, you must cook it for the abundance protein each serving of this seafood delicacy provides you. Another great reason to try it at least once is to fill yourself with some very healthy monounsaturated fats that help to reduce the risk for stroke and heart ailments. 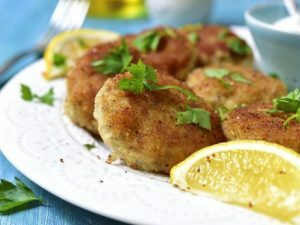 So, wait no more and search your refrigerator for the easiest easy to find kitchen ingredients and a lovely fish fillet. Bake and do share how did your crusty fish taste like? Preheat the oven to 175 degrees C. Clean the fish fillet nicely with water and pat dry the fillets using a paper towel. Nicely arrange the thin lemon slices evenly in an oven proof baking dish. Place the fresh basil leaves randomly over the lemon slices and evenly sprinkle dried rosemary over the lemon and basil layer. Randomly scatter the whole black olives all over the baking dish. Place the cod fillets gently over the bed of vegetable and herbs. Evenly drizzle olive oil over the fish fillet and season it with salt and black pepper powder. 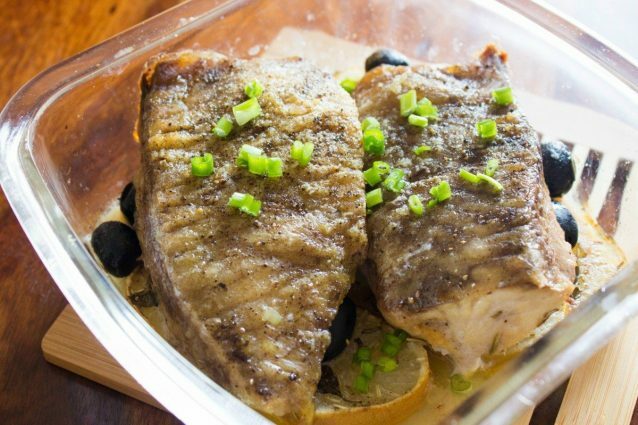 Transfer the baking dish in to the preheated oven and bake the fish for about 15 to 20 minutes or until the fish cooks thoroughly. Serve hot and enjoy! You may replace cod with any other fish of your choice as well. You can also prepare this dish in advance and save it for later use in a sealed container as it is good to be eaten for up to 2 days after you bake it. This seafood preparation can be enjoyed both as a main dish or a very healthy snack.